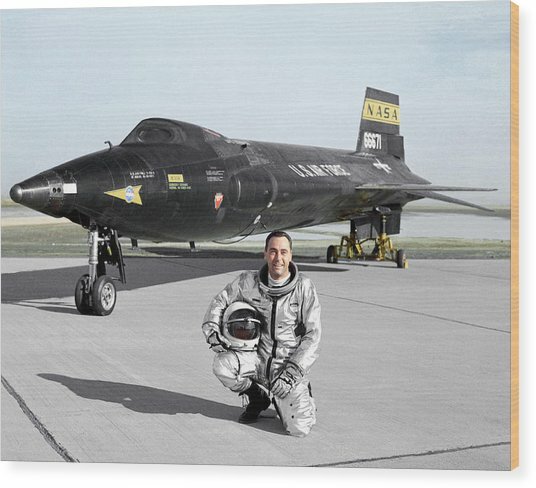 Pete Knight As X-15 Test Pilot is a photograph by Nasa which was uploaded on July 24th, 2016. Pete Knight as X-15 test pilot, with the second X-15 aircraft. US test pilot William J. 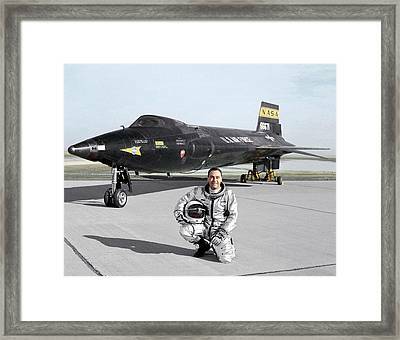 'Pete' Knight (1929-2004) made 16 flights in the X-15, and set the world speed record for fixed wing aircraft. 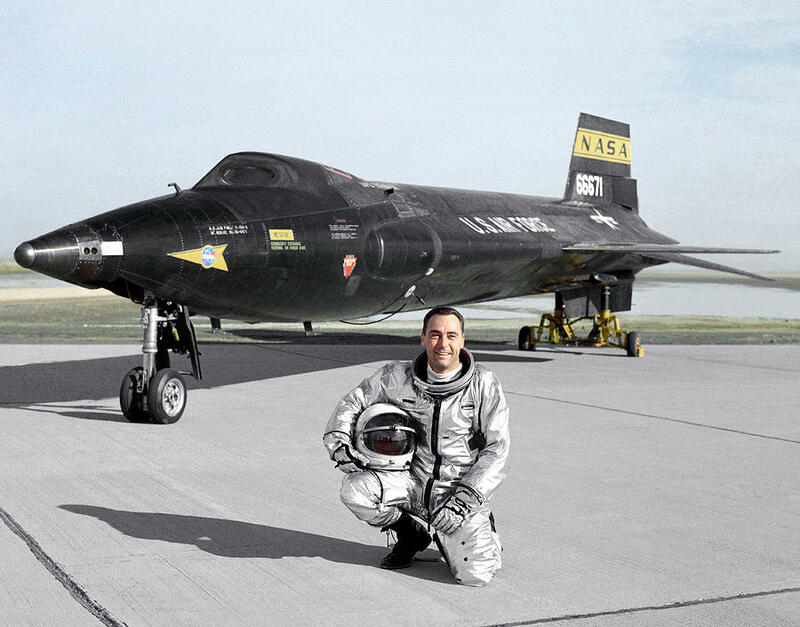 The X-15 was a rocket-powered research aircraft designed to investigate flight at hypersonic speeds. Three X-15s flew a total of 199 missions between 1959 and 1968. 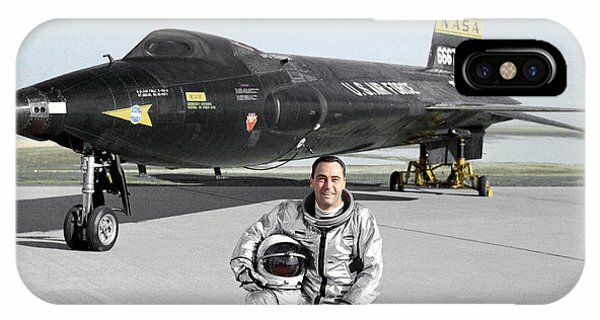 The X-15 was carried into the air by a converted B-52 bomber and released at high altitude. 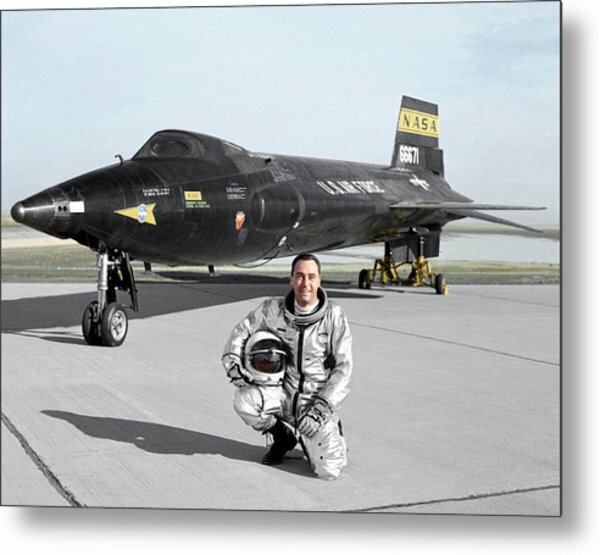 The pilot then ignited the X-15's rocket motor. It was the first plane to reach the edge of outer space and set records for the fastest manned aircraft (7,274 kilometres per hour, or Mach 6.72). Photographed in 1965. 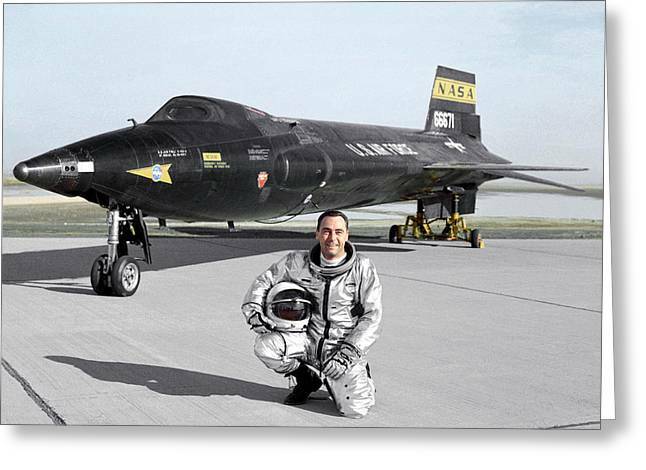 There are no comments for Pete Knight As X-15 Test Pilot. Click here to post the first comment.